Gail Johnson and Nkosi had 8½ years together before he died at the age of 12. 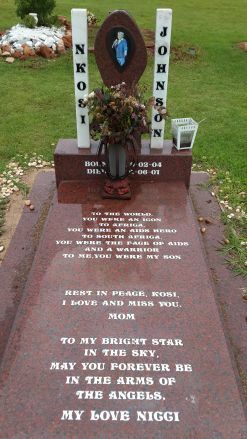 Nkosi Johnson’s grave sits in the avenue of graves in Heroes’ Acre at the Westpark Cemetery in Johannesburg. Children sit amidst colourful couches, watching a movie, at Nkosi’s Haven. Nkosi Johnson was 11 years old when he stood up in front of 10 000 people to tell them his story. Nkosi Johnson’s mother never said goodbye to him when she died. This affected the 8-year-old boy deeply, so much so that he wanted to start a home so that Aids-infected mothers and children could stay together. Johnson was born with HIV, and died of Aids in 2001; he was just 12 years old. He gave a human face to Aids in South Africa and the world, at a time when it was still a taboo topic in the country. Today it still carries stigma, and women are chased out of their homes by their families or their husbands if they reveal their HIV status. 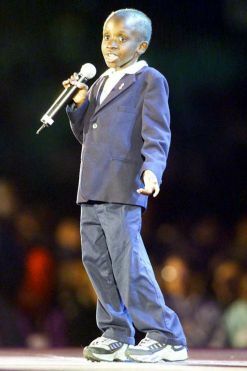 In mid-2000, a year before he died, Nkosi delivered his self-penned address to 10 000 delegates at the 13th International Aids Conference in Durban, broadcast to over 60 million worldwide. A tiny 11-year-old figure, dressed in a suit, held the microphone in his small hand, and said: “Hi, My name is Nkosi Johnson. 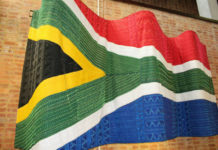 I live in Melville, Johannesburg, South Africa. I am 11 years old and I have full-blown Aids. I was born HIV-positive.” Later that year he delivered the same speech at an Aids conference in Atlanta, Georgia. He was taken home as a 3-year-old by Gail Johnson, who at the time was a founder member of the Guest House, an Aids care home in Houghton, Johannesburg. She took him home when the home closed. His mother, Nonthlanthla Daphne Nkosi, was still able to care for him but she feared that his and her status would become known in the township where she lived, Daveyton, east of Joburg. 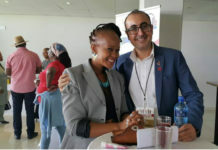 She had passed the virus on to him, in the days before mothers were given antiretroviral (ARV) treatment during childbirth; this is no longer the case in South Africa. There was no answer to this – instead, Johnson’s husband became his daddy. Johnson was asked to take home Nkosi’s older sister, but this never happened. Johnson had to answer his question: “Does everyone who has Aids die?” She told him “yes, because there is no cure”, but added that you could die from a shotgun wound, or be knocked down by a car, “but we’ve got to fight it”. This was in 1997 before ARVs were available in the country, and Aids was a death sentence. And the two of them did, through good nutrition. Johnson says he was never ill, except for an ear infection, and pneumonia, from which he recovered. By the end of 2000 he had become so weak and tired – of taking the medication, of having had diarrhoea for a year, and eventually, of forgetting words because the virus was attacking his brain. He started having seizures, and eventually went into a coma, after which he woke occasionally but never spoke again. He was by then “a little wizened old man of 8.5kg”, said Johnson. Johnson shared nine and a half years of Nkosi’s short life, and what helped her towards the end was that another little boy had entered her life. She brought home Thabo, an abandoned child, when he was four days old, three days before Nkosi went into a coma, and some six months before he died. “Thabo was my balance,” she says. “He was a brand new little thing who was thriving. He brought a semblance of normality.” Thabo is now 13, and he doesn’t have HIV. Johnson says that Nkosi would be 24 years old now, if he’d lived. Her own children are 44 and 33. Both Nkosi and Thabo were dreamers, she explains. Nkosi used to dream big. Johnson started Nkosi’s Haven in 1999 in the inner city suburb of Berea, in a house. 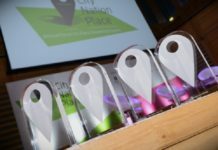 Today the haven – a collection of buildings on a hill where you can hear the birds singing and see the wide blue sky – is on 2.5 acres of land in Alan Manor in southern Joburg. Children’s happy laughter sounds from swings, or atop skateboards as they whizz down the hill. There is a small sports area where the kids play soccer, basketball, netball and volleyball. The children can develop their creativity in the music and art room, the computer room, or the dance hall. A library is also dotted among the buildings. A large recreation room is filled with colourful couches and chairs, and a TV keeps the under-10s occupied with a children’s film during the school holidays. Children and adults smile happily, walking between the colourful buildings, and greet a visitor cheerfully. 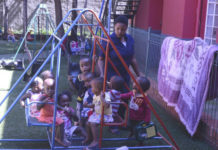 Nkosi’s Haven is a safe place for destitute infected mothers and their children. It is home to 22 mothers and 124 children. All mothers are HIV-positive and on antiretroviral treatment, while 35 children are HIV-positive, and take a daily ARV dose. Seventy-two of the 124 children are orphans. Some of the mothers work in the onsite bakery, the kitchen and the laundry. Johnson employs 12 permanent child care workers, a resident manager, two drivers, three administration staff, and four women in the sick bay. She has part timers and volunteers working as play and art therapists. Some of the mothers dropped out of school in grades 5, 6 or 7, as “problem daughters”, who were infected, and rejected by their families. Although the haven offers a permanent home to them, they are free to leave at any stage. Some are on the government waiting list for a house, and some work at the home. “I won’t let them go to a shack in a squatter camp. They must be able to maintain themselves – it’s pointless letting someone go if she’s going to crash,” says Johnson. The haven pays for the children’s education, and Johnson proudly lists the success stories. One is finishing a bachelor of commerce degree; another is a final year student finishing a degree in human resources. Another is in second year, studying sports management. Two students are studying tourism. Two each own a taxi, another is a manager at fast food delivery service Mr Delivery, and one is a receptionist. Nkosi’s Haven, an NGO, doesn’t qualify for a government subsidy, and relies entirely on sponsors and donations. 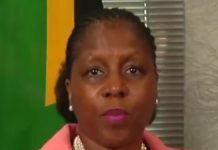 Johnson spends a fair amount of her time fundraising, to meet the costs of running the home, at R5-million a year, of which R1.9-million is spent on education. Despite the demands of the job, she couldn’t see herself doing anything else, and at 65, doesn’t see herself retiring. “I would go mental if I retire,” she says, adding that she finds it hard to “just chill out on holiday”. Looking back she says she has always been like this. When she was seven years old, the family’s domestic worker’s baby nearly died, and she thinks this might have triggered a need in her. Nkosi ended his speech back in 2000 with these words: “When I grow up, I want to lecture to more and more people about Aids – and if mommy Gail will let me, around the whole country. I want people to understand about Aids – to be careful and respect Aids – you can’t get Aids if you touch, hug, kiss, hold hands with someone who is infected. The Joint United Nations Programme on HIV/Aids, UNAids, estimates that in 2012 there were 6.1 million South Africans living with HIV. There are 410 000 children up to the age of 14 living with the virus, and 2.5 million children orphaned by Aids in the country. In 2012, 240 000 people died of Aids.